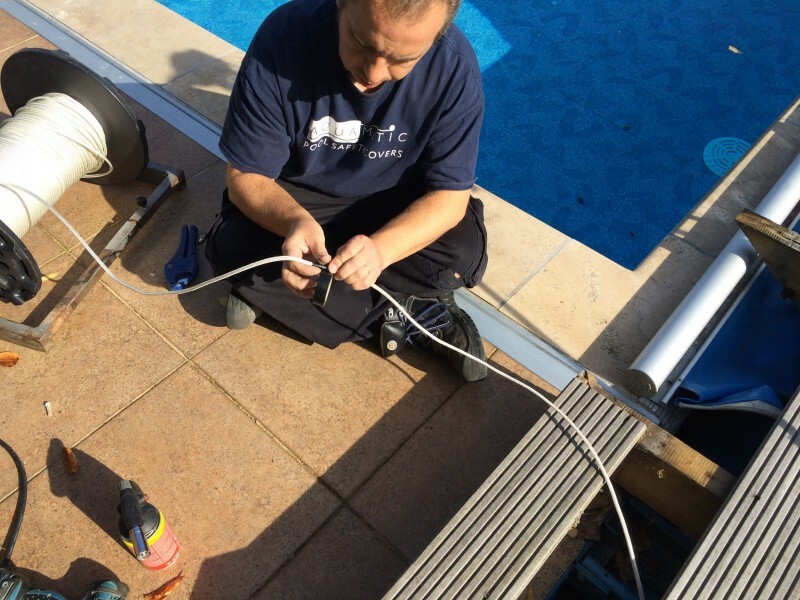 To keep your Aquamatic cover operating correctly it needs to be serviced from time to time. This should be carried out as detailed in the home owners pack. The first people you should call for this is your local Pool dealer that the cover system was purchased through. Many of our dealers are able to service the cover. As we are based in Hampshire, some parts of the country are logistically harder for us to reach. Therefore we have built up a network of Swimming Pool companies that are able to carry out this work for us, so we might suggest using one of these. Benefits of having the cover serviced. By having the cover serviced also reduces the risk of the cover breaking down. Prevention is always cheaper than cure. Preventative maintenance can prevent 80% of most breakdowns from occurring. When the service parts are worn to excess they cause the fabric & hems to become damaged resulting in a replacement fabric being required. Keeping the cover working is important; the best way to do this is to have the cover regularly serviced, as recommended. Avoid the inconvenience of not being able to open your pool on the next sunny day. Before we carry out a service we will need to take a card deposit of £200.00 to confirm our visit and we will contact you to arrange this over the telephone Following the completion of the work, we will use the same card details to settle any remaining balance. Receipted invoices will be sent to you for your records. To request a service please fill in the form below. 90% of breakdowns can be assessed upon receiving the images. of the areas of concern . Please submit up to four pictures by Mobile , IPad or Digital Camera. Click "select files" button to upload pictures. These pictures will help us to evaluate the nature of the problem & avoid any unnecessary call -outs / return journeys. Description of fault... Please add comments here. The average cost of a service is between £400-£500 depending on what parts need replacing and your location. Before we carry out a service, we will need to take a card deposit of £200.00 to confirm our visit, and we will contact you to arrange this over the telephone Following the completion of the work, we will use the same card details to settle any remaining balance. Receipted invoices will be sent to you for your records. I hereby agree to Paramount Pools Ltd taking a Visa deposit payment of £200 Once a final invoice has been issued I authorise Paramount Pools Ltd to use the same payment method to pay the final the balance I am the owner or have owner’s permission to allow Paramount’s service engineers to gain entry to the property. All parts deemed to be worn will be changed at engineers discretion. 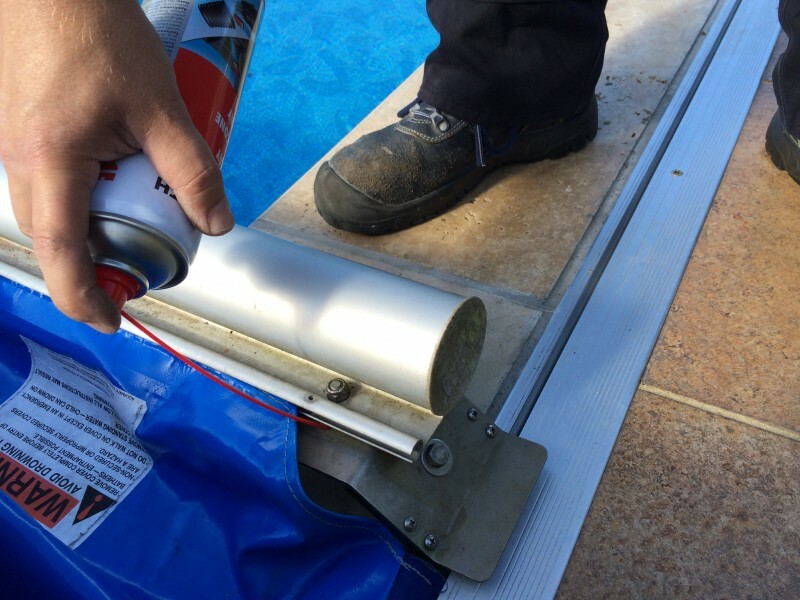 In the event, the cover is to be left in a non-operational capacity or has to be removed for factory repair or non-payment, I understand it will be my responsibility to safeguard the pool and not that of Paramount Pools Ltd. In the event of non-payment, I grant Paramount Pools Ltd access to remove and retrieve goods to the said value.